December 17, 2009 - Christmas Greetings to all. December 11, 2009 - Rob gets engaged to Desiree Neilson! 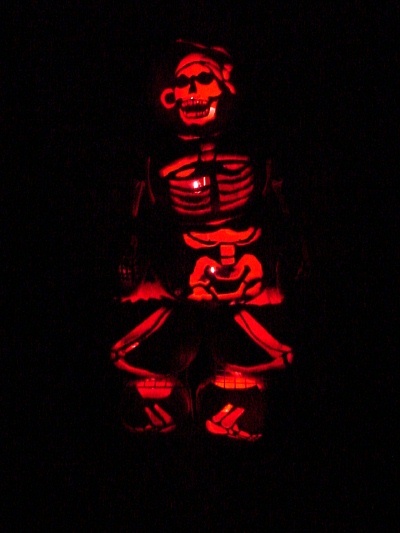 October 31, 2009 - Pumpkeleton says "Boo to YOU!" Seven pumpkins (from our garden) and 4 squash created our 2009 pumpkin creation. Happy Halloween! October 12, 2009 - Angela began student teaching at the Jean Massieu school for the deaf in Satl Lake City. 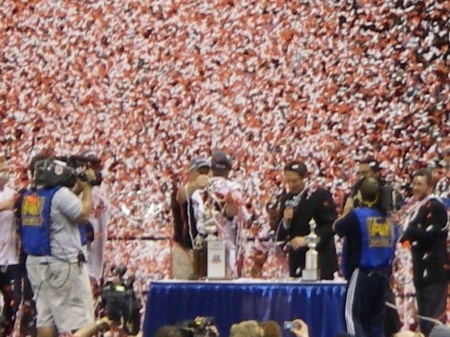 This assignment will continue through mid-December. 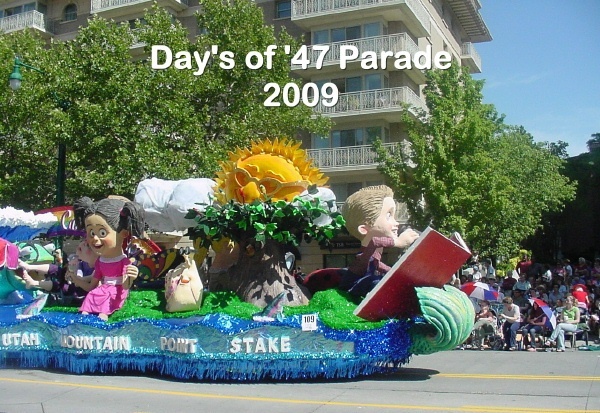 October 10, 2009 -October 10, 2009 - Reed and Sherry begin service in the Salt Lake Inner City Project. We have been assigned to the West Valley 1st Ward, West Valley Utah stake. August 12, 2009 - Angela married Kevin D. Hanks and became Angela H. Hanks. 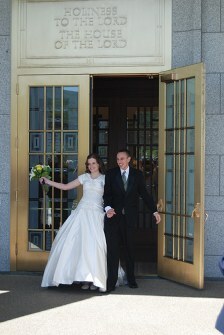 The wedding was at the Draper Utah Temple. 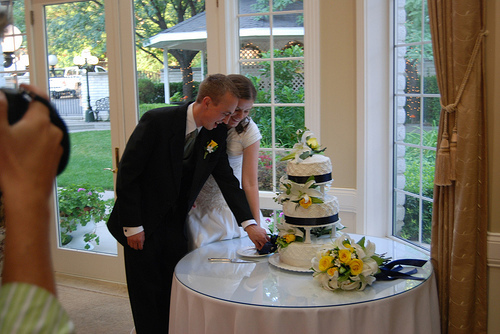 That evening a reception was held in their honor at Carmelle in Holladay. Leaving the Temple Cutting the wedding cake. 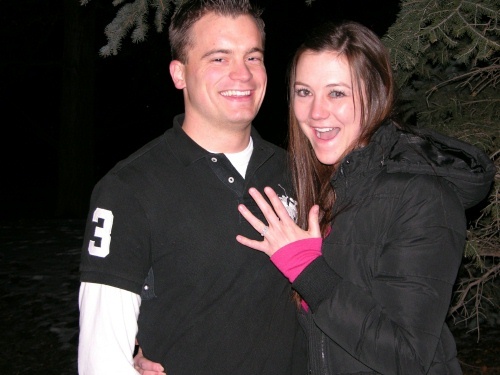 June 25, 2009 - Angela is ENGAGED! 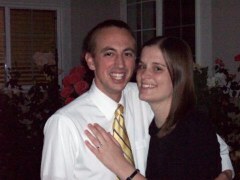 Angela is engaged to be married to Kevin Hanks. Angie met Kevin in her student ward at Utah State University. 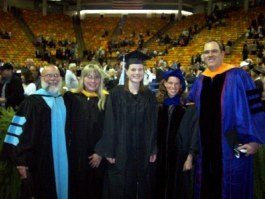 They will both receive master of science degrees in May 2010 from Utah State University. The couple is planning an August wedding at the Draper Utah Temple. 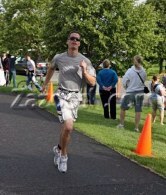 Michael finished 3rd in his division (21 - 24 year olds) at a triathlon held in Riverton, Utah. To his surprise his best portion was running. 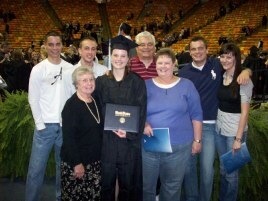 Angela graduated from Utah State University with a B.S. 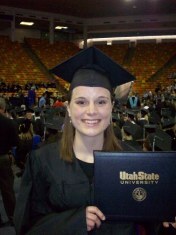 degree in Elementary and Deaf Education. 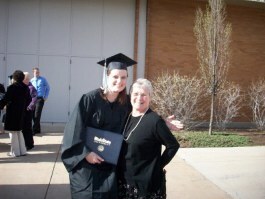 &nbsp;Angela's grandmother Westberg is deaf and that was part of her motivation in the selection of this degree. Next year Anglea will earn her master's degree in this field. 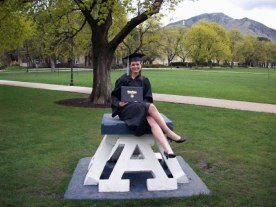 Next year most of her time will be spent in student teaching, During fall semester she will teach in Salt Lake City and then in the spring she will teach in some other state. 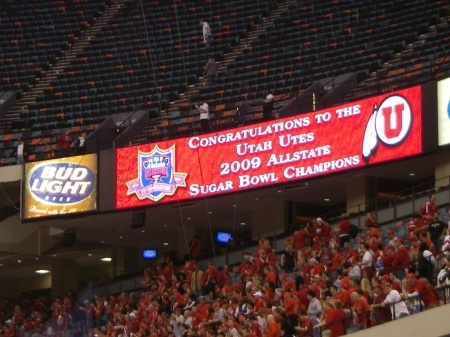 He served 13 months in his student ward at the University of Utah. Mongkol Tungmala passed away after a battle with brain cancer. He died at his home in Mountain Green, Utah. Mongkol is a person I will never forget. He had a giant spirit wrapped up in a small body. 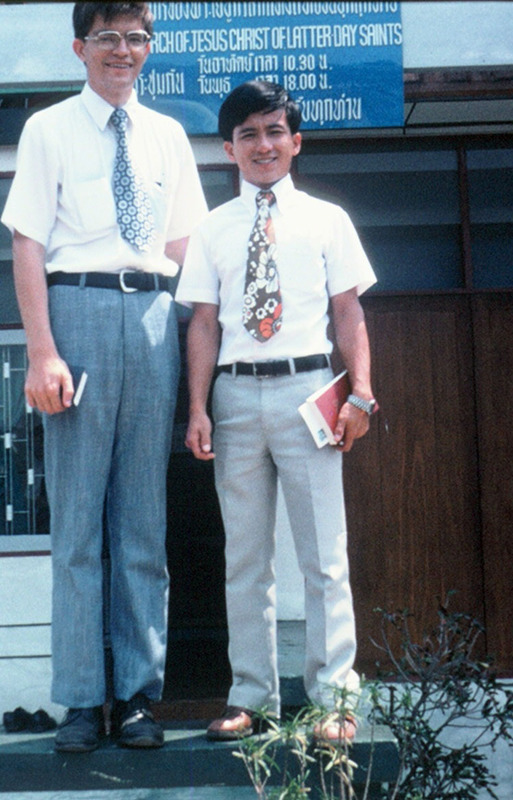 Reed with Mongkol outside our home in Chiang Mai Thailand March 1975. He was one of my Thai Instructors in Hawaii and it was my privilege to be his companion for one special week in Chiang Mai Thailand. Mongkol accomplished a great deal because he was always so focused on what he was doing. 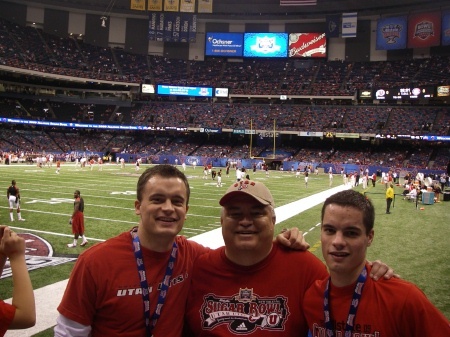 He was a great teacher, leader and missionary. He was not someone who enjoyed &quot;goofing off&quot;, life and learning were much too important for that. One evening at the Language Training Mission in Laie Hawaii, &nbsp;Mongkol told me that I might not be going to Thailand since I could not speak the tones of the Thai language. With the Lord's help and that of the instructors in Hawaii, my tones finally started to improve and I was able to go on to serve in Thailand. When serving as companions in Chiang Mai, Thailand (not far from Mongkol's birthplace in Lumphoon) the following event took place. While walking down the side walk, Mongkol grabbed me by the arm and pulled me into a shop. &quot;Elder Mongkol&quot;, I asked, "What is it that we need to purchase here;?" He replied, "We don't need to purchase anything. I saw my cousin approaching down the sidewalk and I don't want to speak with her today;". I had hoped to finish my mission serving with Mongkol as zone leaders in Chiang Mai, but was reassigned to Bangkok to work with Sister Srilaksana (which also turned out to be another marvelous experience during my mission).